Pad & Quill are makers of a number of lovely, handcrafted cases for iPads and other mobile devices. They’re one of my favorite iPad accessory vendors and they’ve got a great looking lineup of new cases for the iPad Air. This one was for us. A case of pure beauty and craft. With the Aria, we wanted to see how luxuriously far we could take an iPad case. Turns out, quite a ways. 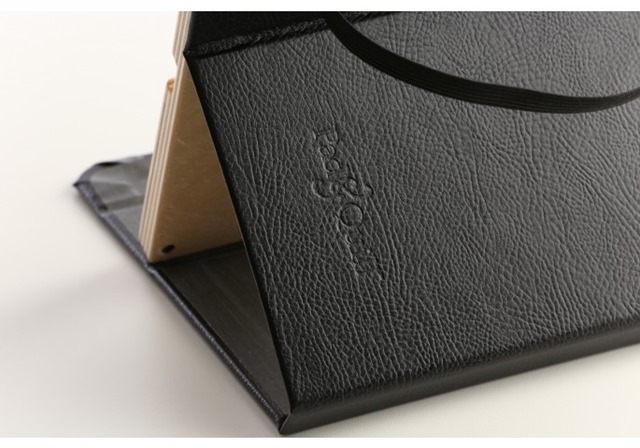 Unlike anything else, the Aria iPad case provides utility, but it’s real gift is sumptuous aesthetic and tactile perfection. French hemmed seams, meet fine American full grain leather and hand finished wood to form the most beautiful case we’ve ever crafted. Crafted locally at our book bindery in St. Paul, the Contega offers both artistry and beauty. However, the aspect that shines brightest is the engineering. An ingenious multi-channel positioning system allows you to prop the Contega in all sorts of useful ways. Feel the finely finished wood, the gorgeous, hand-applied, bonded leathers and book bindery cloth. Beauty has never worked so well, or been so popular – the Contega is our top selling iPad case. Our NEW Spanish bonded leather material is amazing to hold in the hand. Available in onyx black and whiskey. The Contega is ready to meet the needs of the smaller and more deftly designed iPad Air as it’s the smallest, lightest and strongest propping case we’ve ever made! These cases are priced from $55 to $130. 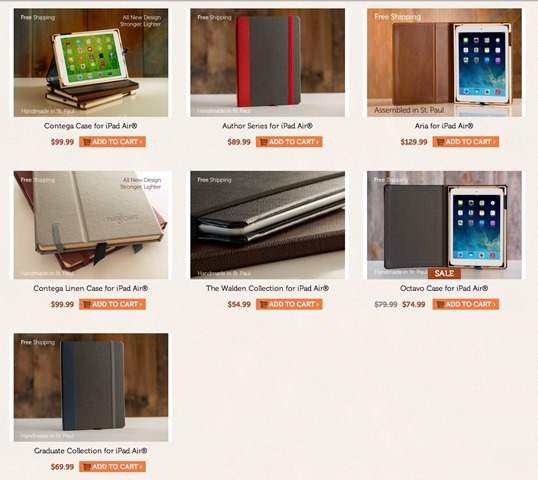 You can check out more details on them and place orders at this Pad & Quill product page. 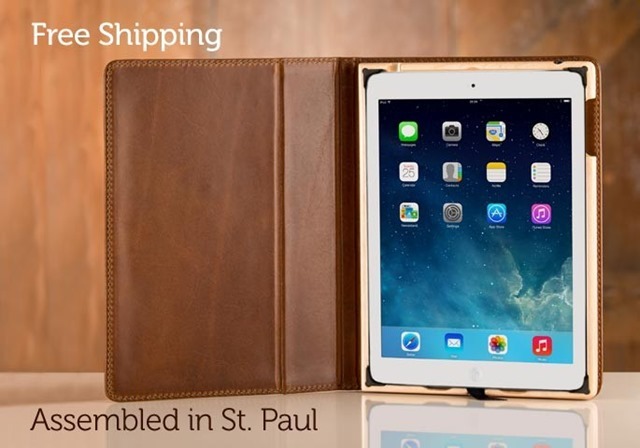 There aren’t a lot of good leather cases out there for the iPad. This looks like the one to get!